Morning all. 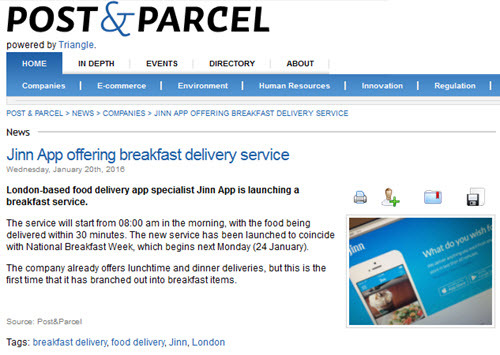 Today's coverage round-up comes for Jinn App, a delivery service in London. 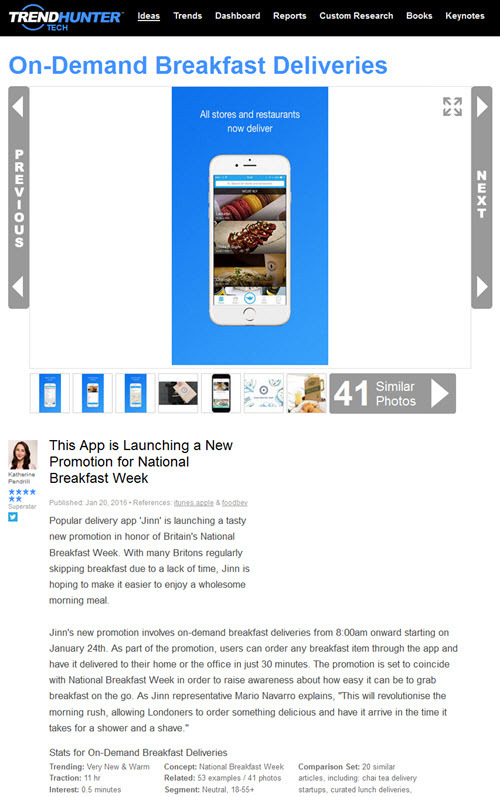 With next week National Breakfast Week, they have launched a breakfast delivery service for the locations they service. This has been covered on the likes of FoodBev.com, Post & Parcel and on Trend Hunter.